With extensive experience in financial services law, Simon Barnett heads the Dixon Advisory Law team, which provides estate planning advice to clients and assistance with self managed super fund documentation. Simon was attracted to the role after working with Dixon Advisory in an external capacity for more than five years, providing advice on Australian financial service licensing, regulatory compliance and corporate transactions. According to Simon, providing an integrated end-to-end self managed super fund service, where services like estate planning dovetail with the administration, accounting and investment service, is highly beneficial for Dixon Advisory clients. “It means they have everything they need for their SMSF in the one place, with all the areas covered and working together in the clients’ best interests,” he said. Previously, Simon was a Director at corporate and commercial law firm Watson Mangioni, and earlier in his career he worked at law firms in New Zealand. Simon has helped numerous financial services entities establish their operations, as well as assist with their subsequent financial product issues and offerings. 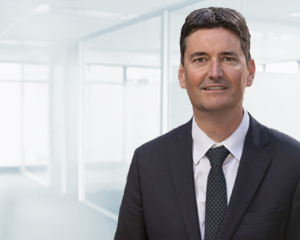 He has assisted clients with capital raisings and mergers and acquisitions, and advised them on corporate matters, joint ventures and regulatory matters including ASX, ASIC and APRA issues. Simon has a Practising Certificate from the Law Society of NSW and has been admitted to the Supreme Court of NSW as a solicitor. He has a Bachelor of Laws and a Bachelor of Arts (Economics) from the University of Otago.